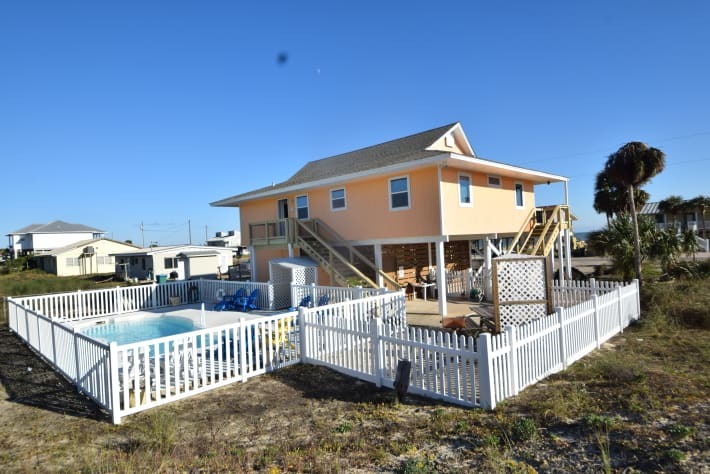 Lazy Daze is a family friendly renovated beach home with private pool hot tub, pool table, foos ball table, video game consol and more! 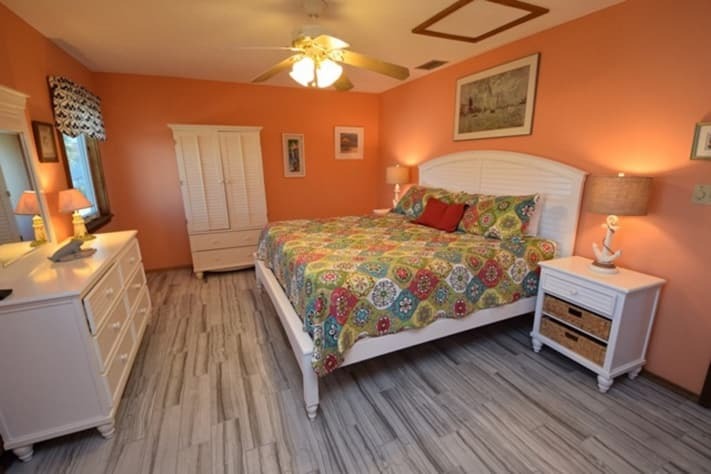 It has 3 bedrooms , 2 full bathrooms, large living room area, bright spacious dining room and well equipped kitchen with granite counter tops and new stainless appliances. Lazy Daze has 4 flat screen HD TVs with cable channels, blu ray DVD, local and long distance phone and WiFi, stereo/CD.IPOD docking player and a multi arcade game. 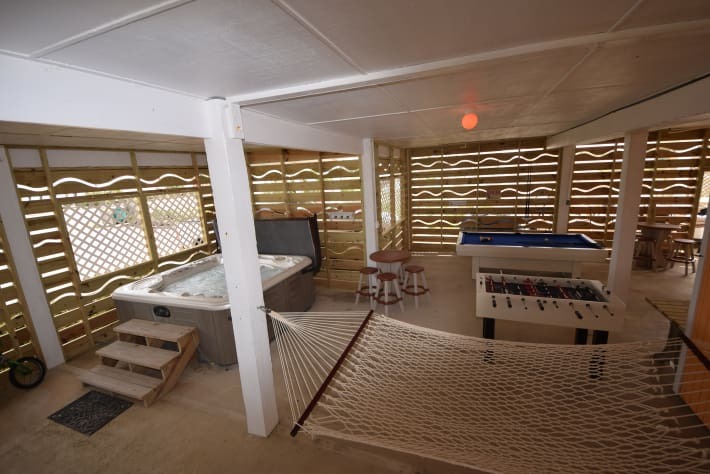 Relax by the private swimming pool which has plenty of comfortable seating to take in the sun after a swim or perhaps try a game of pool on the full size slate pool table or an action packed game of foos ball. 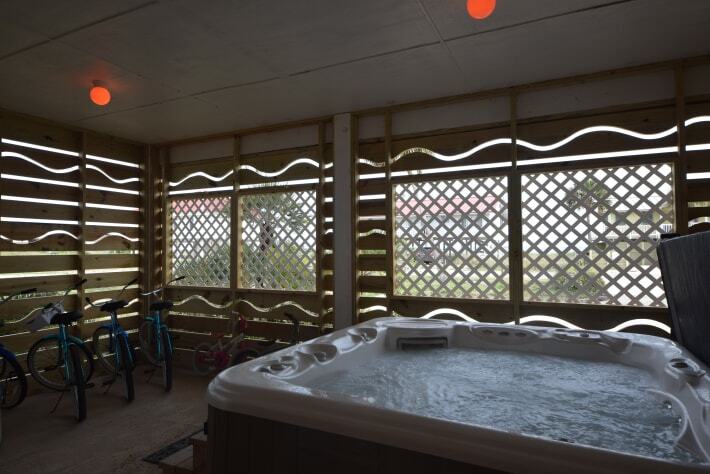 When you are ready to relax, you can do so in the large hot tub while enjoying the view of the beach. Lazy Daze also has a hot and cold outdoor shower, fish cleaning sink to clean your day's catch, beach gear and beach towels. 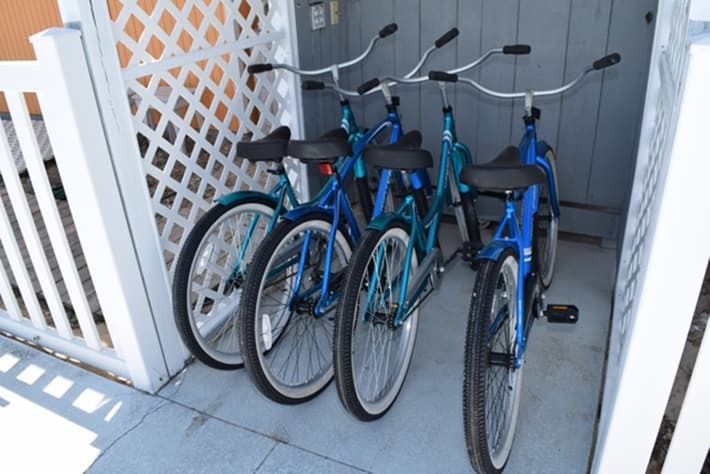 We provide bicycles (you don't need to rent!) and a whole lot more! The fenced in yard with access from both decks is great to keep the little ones and 4 legged friends in the yard! The house is well maintained was renovated in 2016. 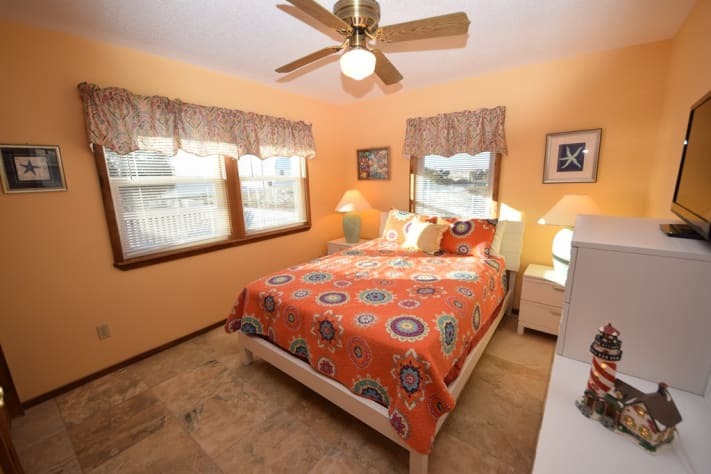 Each room has large windows so you can enjoy the view from every where in the house!! 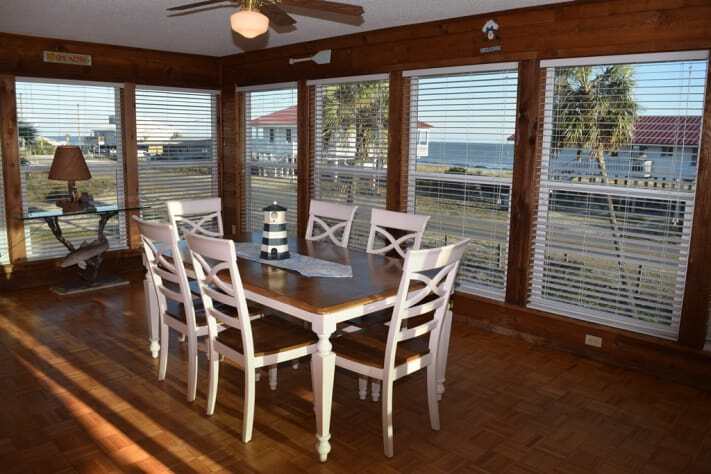 The large deck has plenty of seating dine or just relax while enjoying the views of the Gulf. 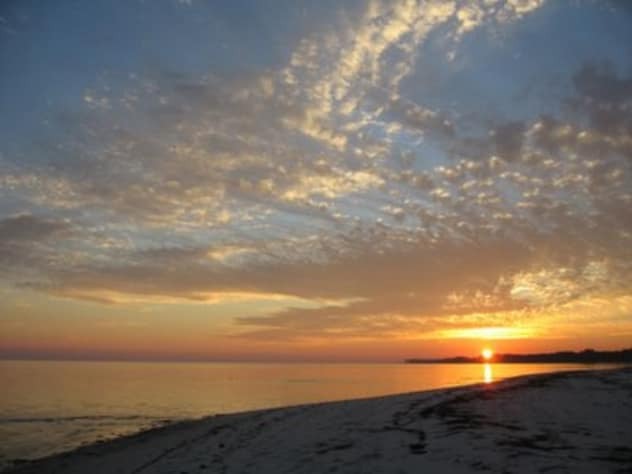 Just a few steps away is the beautiful beaches of St. George Island! 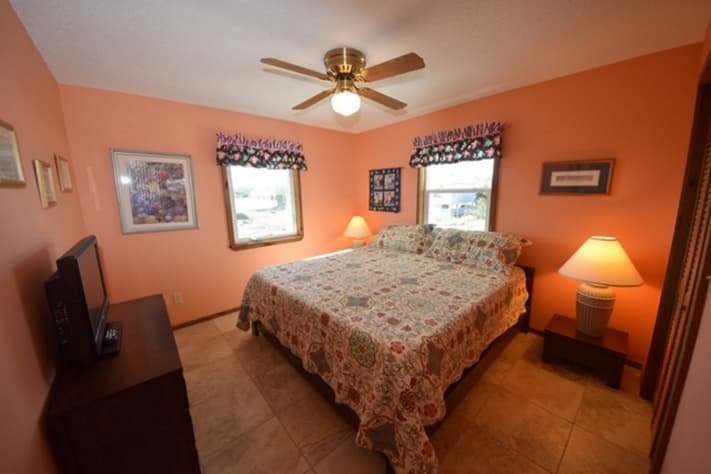 Lazy Daze has plenty of privacy and parking being it is on 1/3 acre. 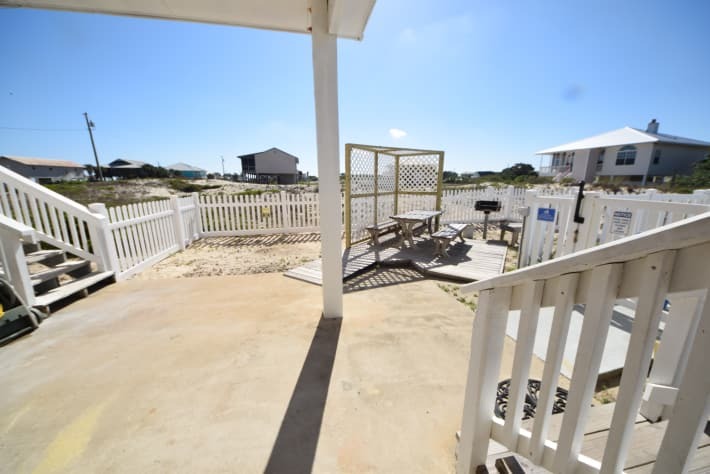 You will find that Lazy Daze is the perfect vacation home for you and your family and that St. George Island is an amazing vacation destination. 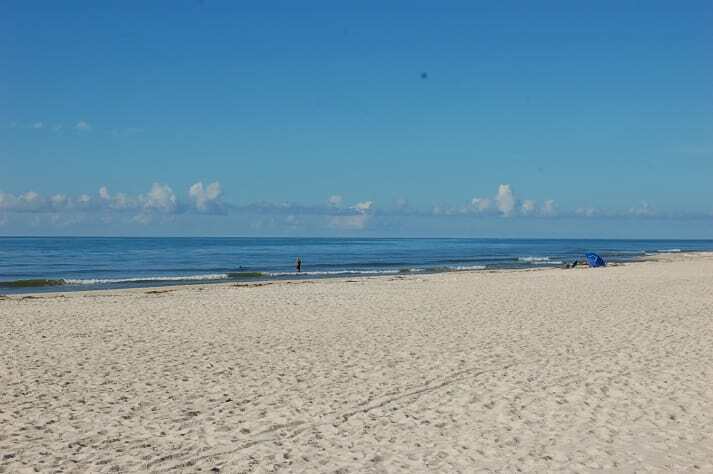 Swim with the dolphins, fish, learn to knee board or just recline on the white, sugary sand. After a day of island activites, enjoy the outdoor hot/cold shower and prepare dinner on the park-style charcoal grill. 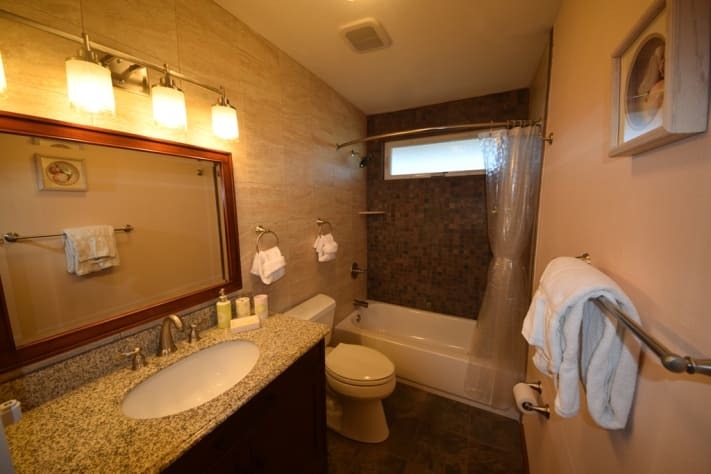 Of course you should take a swim in the private pool then relax in the large hot tub before you try your skill at over 50 video games! Sitting on the deck at night is perfect for watching the stars as you discuss your next day's adventures. 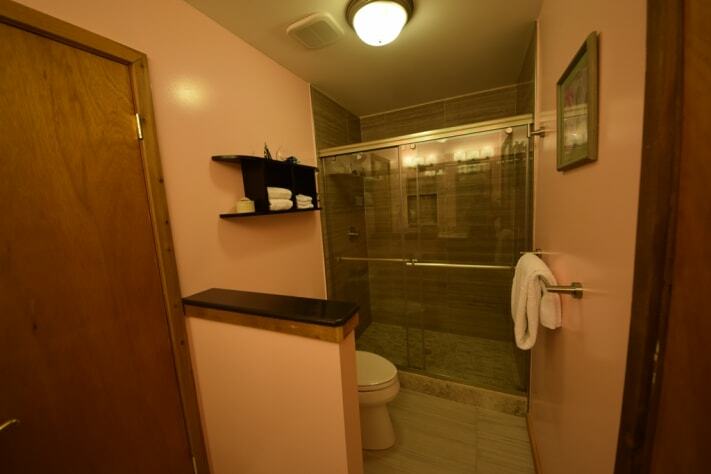 A stay at Lazy Daze is perfect for making wonderful family memories! 25% deposit upon booking. the balance due 60 days prior to arrival. The deposit is non-refundable. We encourage guests to purchase travel insurance. Maximum number of guests is 8. We allow up to 2 dogs with prior approval. Pet fee will be applied. Rates are subject to change until reservation is confirmed. For an exact quote, please email or call us. From day one, Tom and Lucinda were excellent to work with, taking time to answer all of our questions, and very communicative. 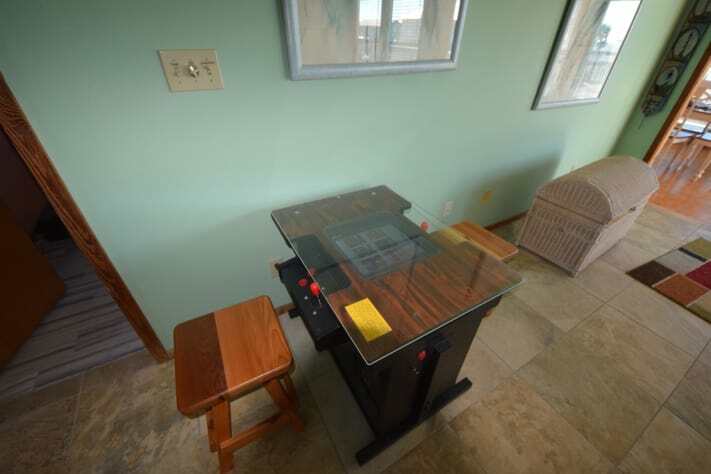 The property was as described and the extra amenities were wonderful (bikes, games, detailed book with lots of useful and fun information, well equipped kitchen, etc.) After having a not so great rental experience in the past (NOT with these owners!!!) they set all of our worries to rest and we would not hesitate to rent from them again in the future! We had such fun exploring this section of the "Forgotten Coast" and look forward to a return trip in the future. Thanks so much Tom and Lucinda, for being excellent hosts! om & Lucinda were terrific hosts. We were very happy with how well equipped the kitchen was since we have to cook most of our meals due to family member food allergies. 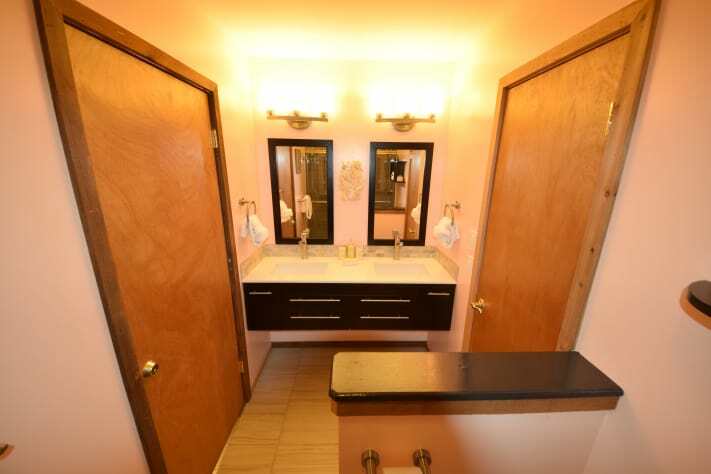 The house must have been recently remodeled and is in great shape. Pool was clean and temperature perfect when there in October. Unfortunately we had to evacuate early from hurricane Michele and again owners kept us informed and what was expected of us to stay safe. Hope to return again in the near future. We had a wonderful time. Great location, Great Home. Enjoyed Lazy Daze a lot! 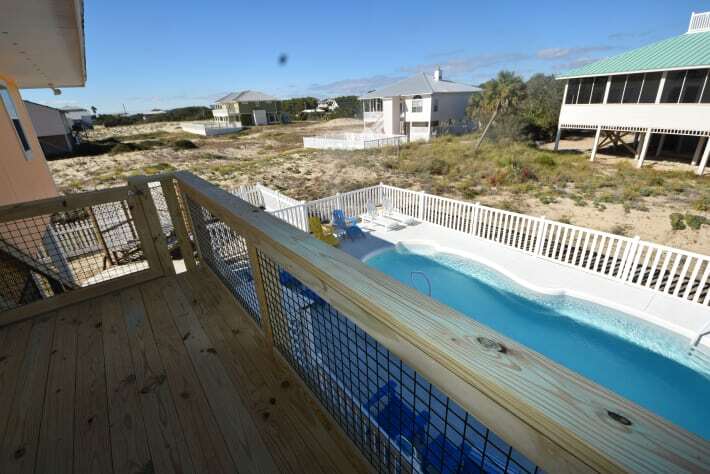 The home was spacious and close to the beach. The home was well equipped. Enjoyed the pool also! 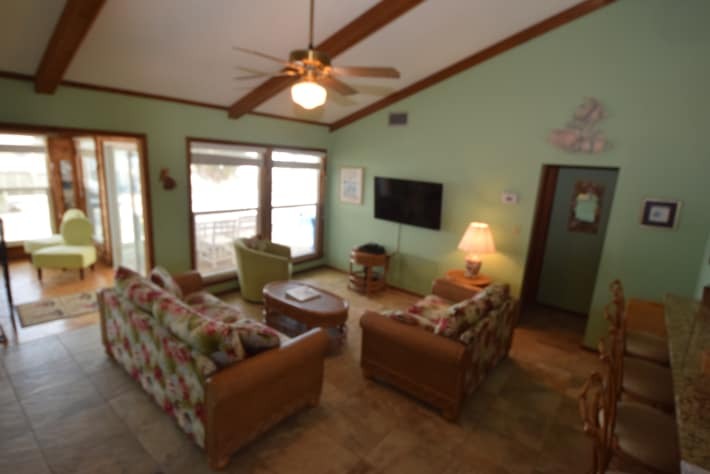 Lazy Daze is a great place for a family vacationing. The pool, hot tub and gaming area are such a bonus. The house is well stocked and felt like home away from home. Great experience! House was wonderful! I took my Mom and my niece on vacation and we had a great time! Lazy Daze was very clean and well stocked. We did not want for anything. Tom was very responsive to phone calls and took care of us immediately. We will definitely be coming back. Loved it!! We had a fabulous relaxing vacation at Lazy Daze! We really enjoyed the pool and arcade table. Though across the street from the beach, we still had a great view of the water and dolphins swimming in the morning. We are ready to book our next stay! We stayed at Lazy Daze in mid-July of 2017. I have threee girls and they all loved having the pool in the backyard as well as the bikes that came with the rental. 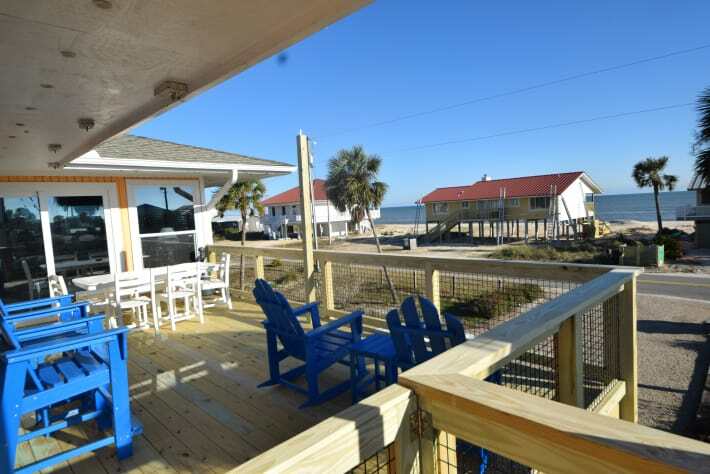 My wife and I enjoyed the close proximity to the beach (access across the street) and we really enjoyed sitting on the front deck in the morning for our daily view of dolphins cruising along the shoreline. 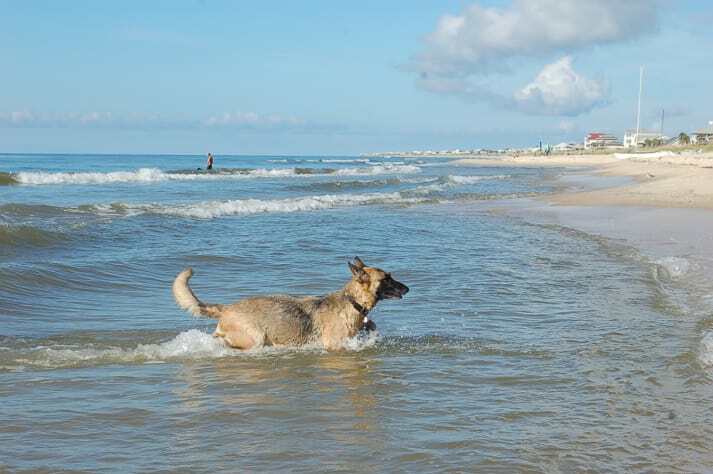 We also brought our 2 dogs and they enjoyed playing in the island's dog friendly beaches. 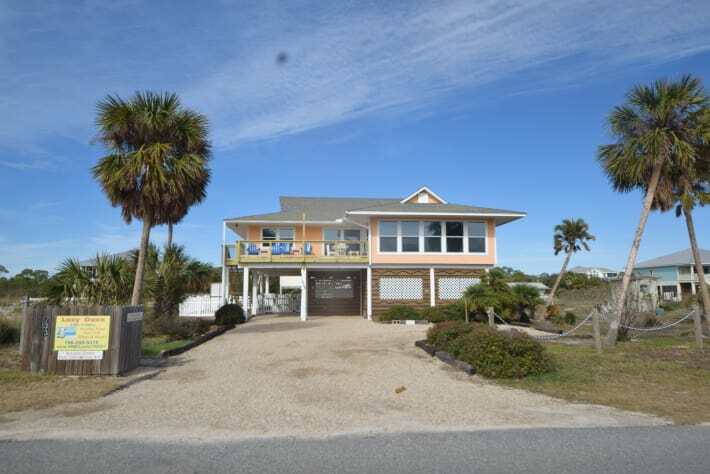 I would recommend this house and St. George Island to anyone looking for a place to really unwind and get away from the typical busy Florida beaches. 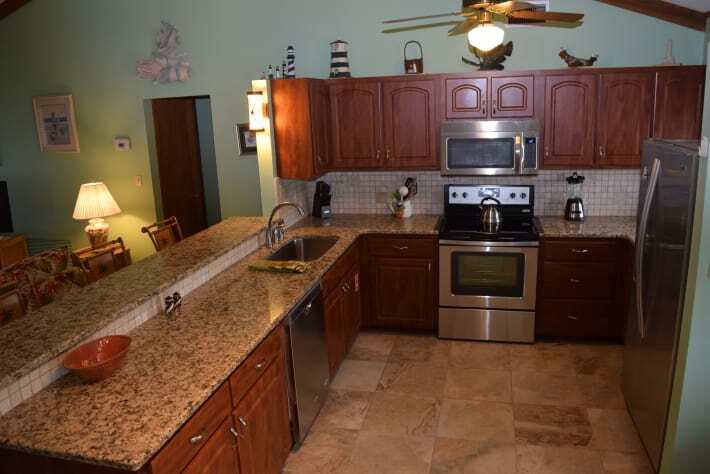 We did have a few issues with light bulbs being out and the kitchen sink leaking but we notified the owners and the issues were taken care of that day. Great home, great location and excellent owners. First time at St George Island. Awesome place to relax and enjoy the beach. Our stay was comfortable. The house has all you need. 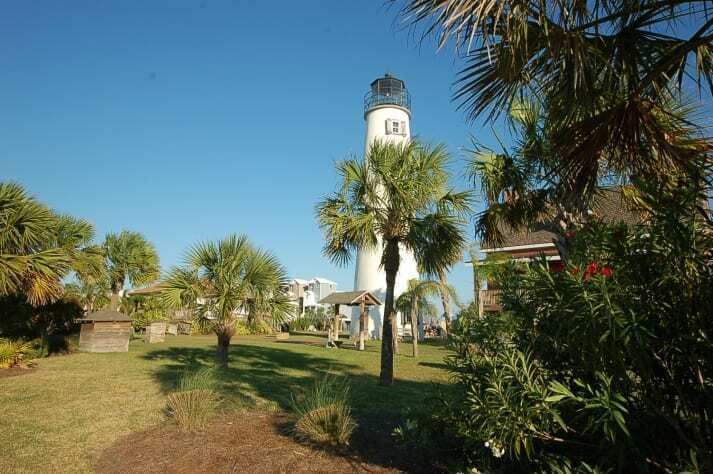 We will return to St George Island. 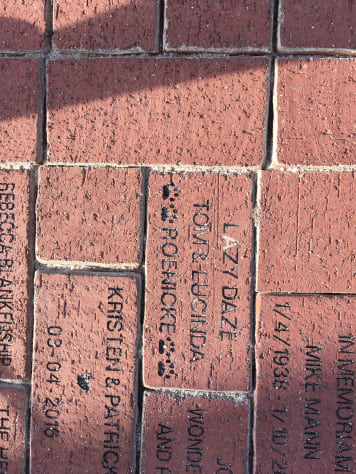 So happy we stayed at your home! The house is perfect. The front balcony porch was great for relaxing in the warm sunshine, my dog loved the porch as well, watching the ocean and activity on the street below. Perfect placement on the island! Close to everything and still quiet. very nice surrounding neighborhood and beautiful homes. Fun walk to the shopping area for a refreshing lemonade in the late afternoon. House was really decorated beautifully, and beds and living room furniture were very comfortable. 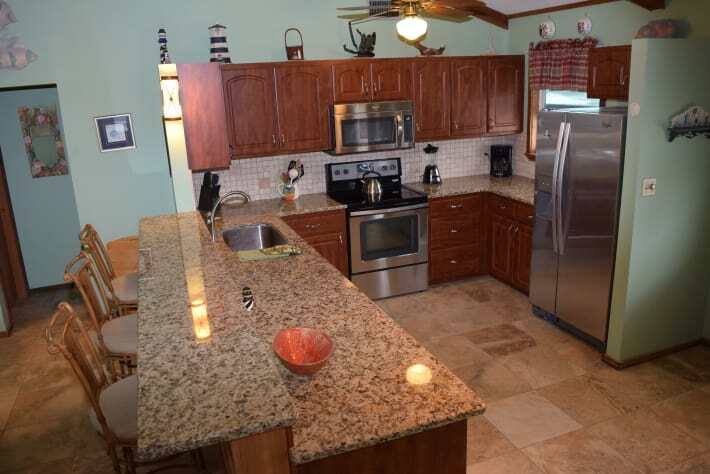 Kitchen was wonderful and dining area was perfect for sunset and ocean viewing. We really enjoyed our stay, and we loved everything about the house. No complaints at all!! Very easy ,close entrance to the beach boardwalk where I spent early morning and evenings walking my yellow lab who also had a great time and we were happy he could join us on vacation. Pool area was fun , private and refreshing. BBQing ribs and shrimp in back by pool- it was great!